Last week I posted about the unflattering dress I made, which I turned into a new creation, retro butterick pattern 6582. I kept the skirt from the vintage pattern and married it to the new/retro pattern, using view c. It has a faux front wrap and gathered shoulders. I had to move the zipper form the center back to the side to accommodate the skirt which already had an opening on the side. The fabric is a silk and rayon crepe blend. It is very lightweight, and very mailable. It was a challenge to get it to stay the same shape after I cut it. The skirt was the perfect opportunity to use french seams, and make a clean look. The fabric is very sheer, so I interlined it with the same fabric. Interlining it with the same fabric, made it easier to sew, rather than trying to force the silk to fit another type of interlining fabric (which is what I tried to do with the first dress). I hemmed it using the serger rolled hem, which was very easy to do, and looks great for this flowy skirt. The belt is a great detail at the waist, and the matching belt is the perfect vintage accessory. This belt was custom made for me at Pat's Custom Buttons and Belts. I love this service so much! 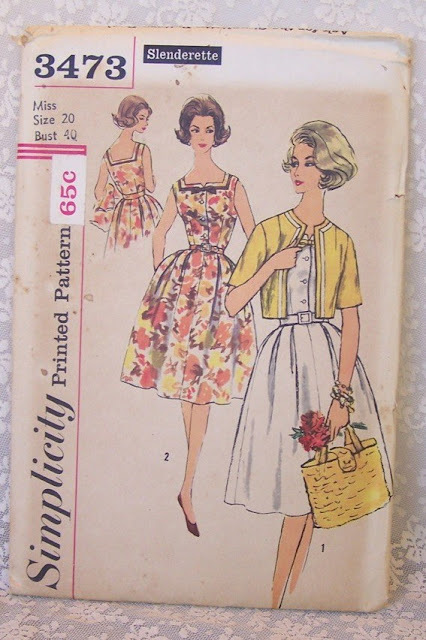 I'm wearing this dress with my layer cake crinoline, which so cute. The only problem with wearing a crinoline this fun, is the desire to lift up my skirt! I've entered my dress in pattern review's vintage sewing contest. Please take a minute and vote for me! The voting ends on the 25th. 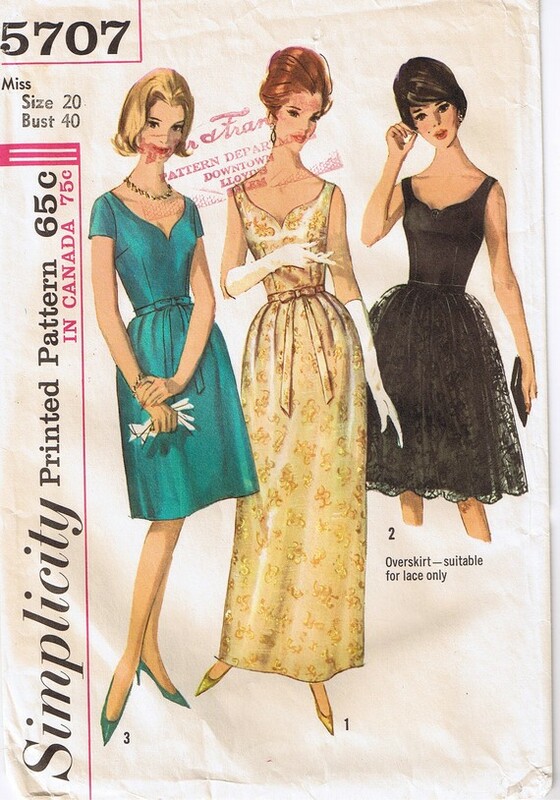 In other news I'm working on finishing my next vintage sewing patternm Simplicity 3473. So far it's not as cute as the picture. I was planning on wearing it tonight, for my fiance's police academy graduation but, I just don't feel right in it. It's too big right now, and the darts aren't acting right, and I feel a little bit frumpy in it. I will finish it today and see how it looks. Anyone else ever have this problem? I had a dinner to go to for my fiance, so you know what that means, sewing another dress. 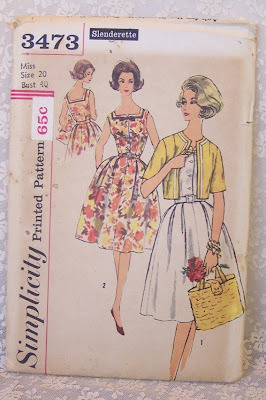 This one is my second version of Simplicity 5707, a pattern from 1964. (see my first version here). 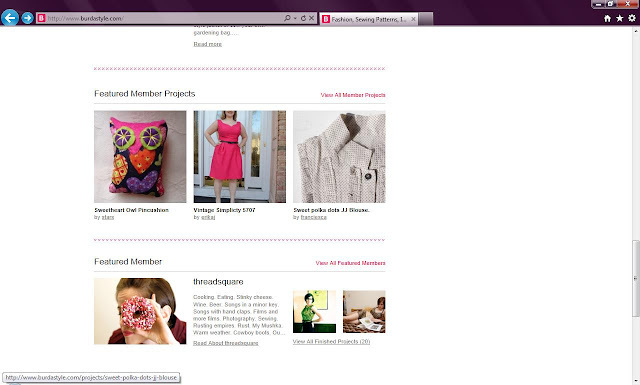 I used a hot pink silk dupioni, from my local fabric store. The dupioni had a shiny side and a more matte textured side, I chose the latter, for a more casual look. I was planning on making version 3 which has sleeves, but as soon as I put the sleeves on, it looked like a bridesmaid dress. So off with the sleeves and went with just the simple sleeveless look. The bodice is lined with leftover rayon bemberg, and I even added a waist stay. I used the quick lining method from threads.com. It looks very neat and professional. I wanted to wear the dress inside out. I started cutting out this dress on Sunday night, thinking I had plenty of time to finish it for the event on Thursday. While I was cutting out the last piece of facing, I must have pulled my back, and could barely move. I couldn't sew again until Tuesday, and had to recruit my Mom's help to cut the bodice lining. Somehow I finished on Wednesday, and my sewing injury had healed. I think this dress was worth the pain! Ever have a sewing injury? It's a bright sunny day here and time to announce the winner of the giveaway! Using the random number generator, I pulled up the lucky number 13. The winner of the tailoring book and supplies is ... Vanessa from Sew Filled to the Brim! Thank you to everyone that entered.Congrats Vanessa, and please email me your address and I will mail your prize to you A.S.A.P. Pin It Now! Don't forget, the giveaway ends tomorrow.